Today the new update 2.3 appeared. From now on, users have control over the device settings. Various images can be used for TWRP, the Magisk version can be customized and much more. Thus, in future updates of the firmware, easily via the settings of the respective source can be set. This makes updating easier and also allows developers to make their own settings. 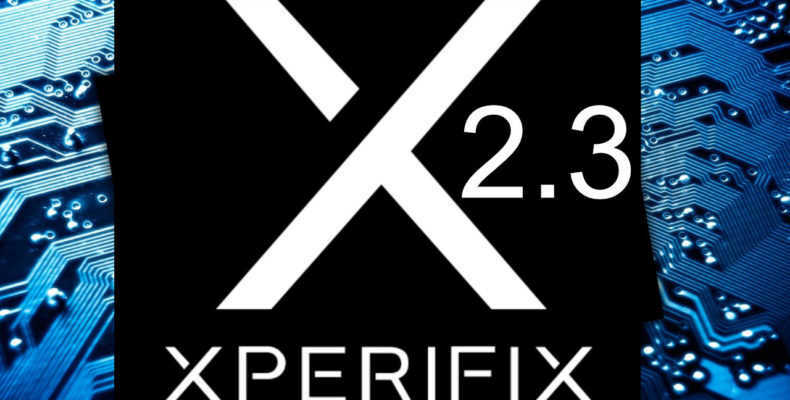 It also makes it possible to test XperiFIX on other devices that are not yet officially supported. With the update to 2.3, I also decided to release a licensed version. I have already explained the reasons for this with XDA. I have been slain by support requests for months and invest a lot of time in development. In addition, of course, the software used also costs money, as well as the hosting, etc. The time I invest in the project, of course, I lack for the work. Of course, the money will also be invested in the project. I have many ideas to expand the software. Anyway, I ask for your understanding. It is weird that XperiFix says device not supported. I’m owning a model G8441, 47.1.A.12.145, Customized SG which should be in the sopport list. Turned out to be a firewall blocking issue. Turn off Windows Defender and install XperiFix again can solve the problem. Well, another weird thing is that the phone could not restart to twrp during the fix. After manually restarted to recovery mode, the fix is continued and succeeded without error. But there is no magisk or drm fix in fixed phone. Make sure you swipe to the right when TWRP asks you. Boot the recovery, go to “Mount” and uncheck the system partition read-only option. Then run XperiFIX again. how I get my licence ? Your license details are sent in a seperate email. This can take some time, because it’s done manually. Hello i currently have the G8142 build number .145 . as soon as i plug the phone in on fastboot mode with your application open it says unhandled exception has occured in your application. any idea what this mean? if i choose to ignore the prompt your application doeasnt recognize my device as having the bootloader unlocked when it is. hope to hear from you soon on this fix as i would like to root my phone. ive been stuck with this problem for 3 days. thank you. Hi, Storm. I have donated $15 to XperiFIX before (I can provide a screenshot of the paypal transaction record as the evidence). May I have a discount for buying the license?